Learning birdsong is not just a way to become a better bird-spotter. It is tuning in: a way of hearing the soundtrack of the planet earth...Why do birds sing? What are they trying to say? Birdsong is not just about natural history. It is also about our history. We got melody from the birds as we got rhythm from the womb. Birds are our music: they teach us to express emotion and beauty in sound. The first instruments ever made were bird-flutes. This book takes the reader on a journey from winter into spring. Along the way, you will learn something of the science of birdsong - the difference between song and call, the physiology of songbirds, what birdsong tells us about evolution, and indeed the very beginnings of life itself. 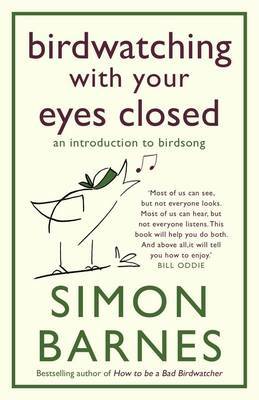 The aim is to give you a flying start in birdsong so that, after reading this book, you'll be listening to order, not chaos, to Bach, not white noise. You will be more aware of the wild world, and better able to understand it.